Here in the tech and startup world there is a term known as Minimum Viable Product. It is a concept that has changed the way projects, products and companies emerge with little to no capital. We can thank this concept for some of the most beloved tech companies and their apps like Twitter, AirBnB, Instagram and many more. This term was coined by Eric Reis, author of the best selling book "The Lean Startup", in a push to build projects in a simplified and cost effective way. No longer would entrepreneurs need to build (and fund...) bulky, full scale products to only hope that users would pay or use their creations. 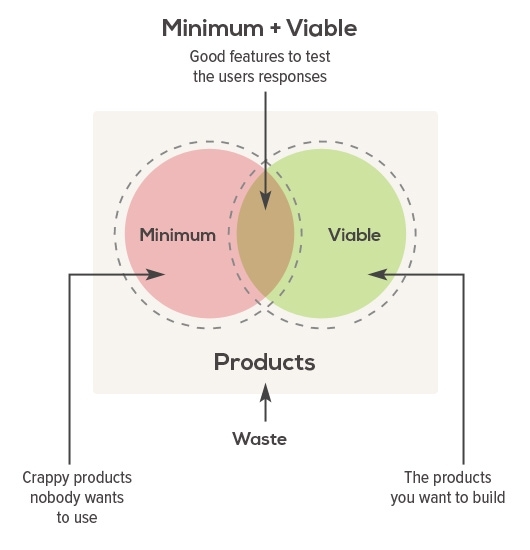 Creating an MVP lets us build our ideas in the purest form. A product that may not have every bell and whistle imaginable, but will let its core functionalities shine. You can build a simplified version of an app to test user demand. You will find out much faster, and with much less of an investment, what users love and don't love about your app. Keeping in mind that more features can be added at a later date allows entrepreneurs to build and seek feedback while improving their product. To put the MVP into perspective, we will look at one of my favorite companies, AirBnb. Today, the company is a behemoth valued at $13 billion dollars, but it started in humble form. The product was simply a tool that reinvented couch surfing for conference goers that didn't want to shell out $300 bucks a night to stay at the San Fran Sheraton. The founders needed help paying their rent and they decided to create a useful tool by renting a mattress on the floor of their apartment. To test this idea, they hacked together a simple website with a booking feature. Fast forward a few years and today you can rent a palace in the Hollywood Hills or sleep in the back of a Tesla. No lie, check out AirBnB. This multibillion dollar company with thousands of employees emerged from a simple experiment. Yours can too. When Teeps has a client who is working with a limited budget, we help form their ideas into an MVP, depicting core functionality. Their original vision has to be placed on the Slow Carb Diet, but what we ultimately build is a Version 1.0 that puts the best features forward to validate their app's value proposition in the market. This minimized investment makes bringing their vision to life a more attainable goal. So, do you have an idea you are dying to bring to life? Could the MVP be your answer? I challenge you to find out.